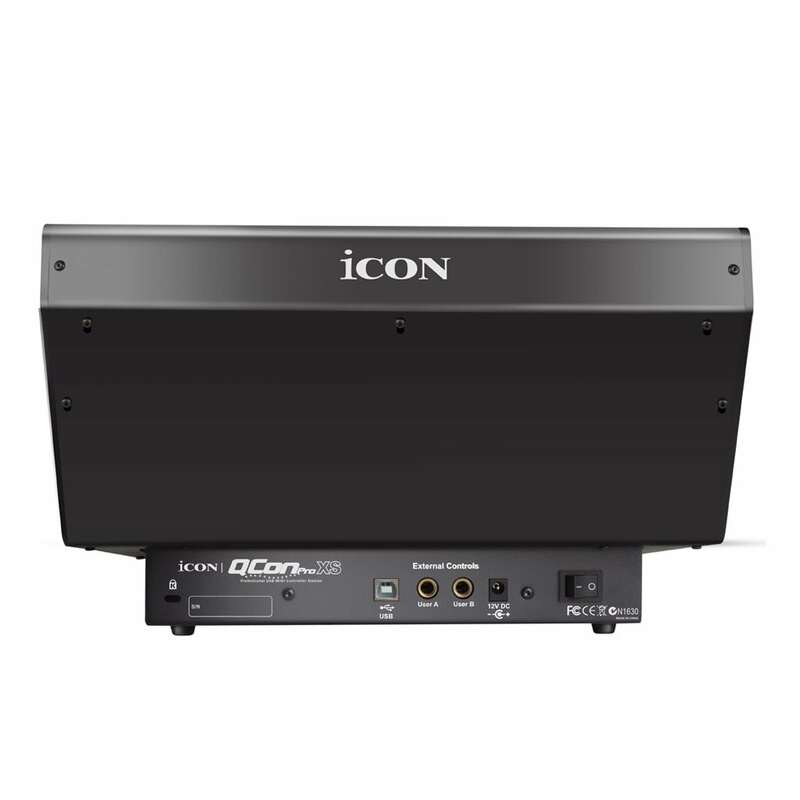 The QCon Pro XS is an extender unit for the popular QCon Pro X. 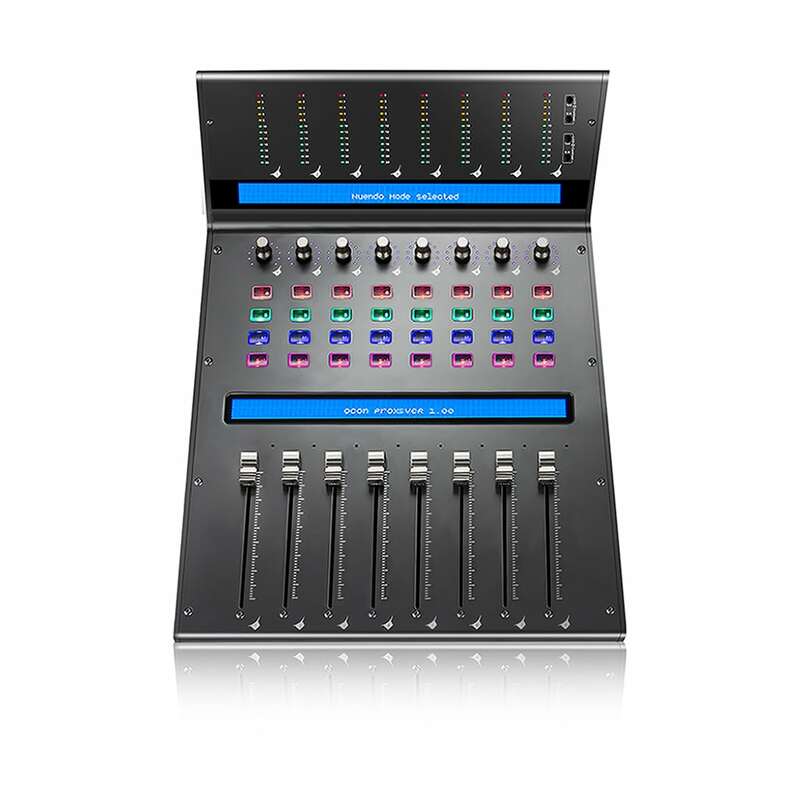 Expand your QCon Pro X DAW controller up to 32 channels using up to three Icon QCon Pro XS units from Icon Pro Audio. 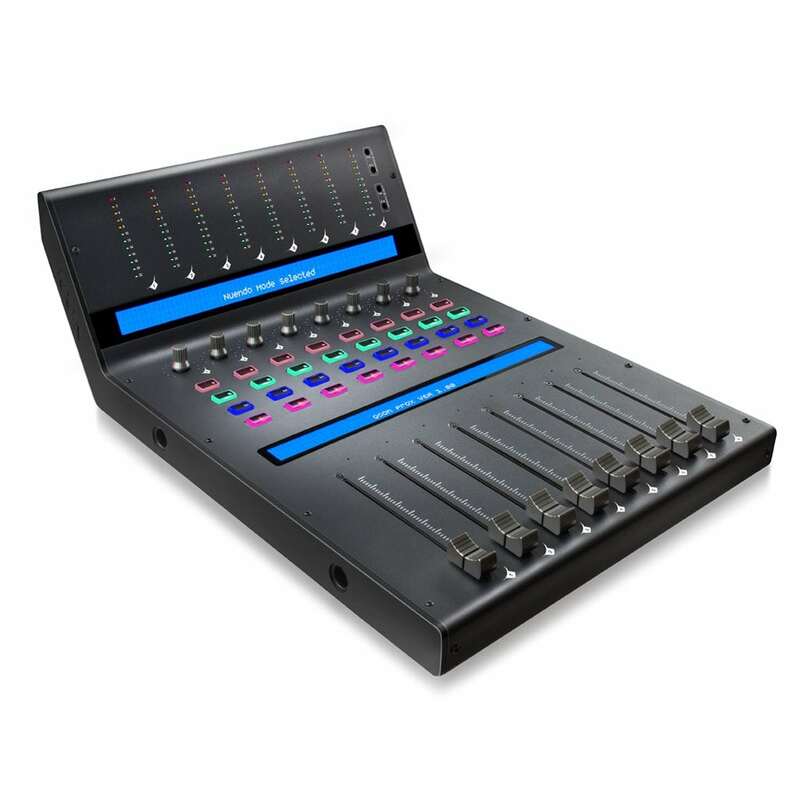 Each Icon QCon Pro XS houses eight touch-sensitive motorized channel faders with 10-bit resolution, eight dual function encoder knobs, mute, solo, select and record buttons, and a 12-segment LED level metering bridge in a robust metal casing. Large dual backlit LCD displays show channel names and different control parameters for each channel. The Icon QCon Pro XS utilizes Mackie control for Cubase, Nuendo, Samplitude, Logic Pro, Studio One, Bitwig, Reason and Abelton Live while Mackie HUI protocol powers Pro Tools.